On the 40th anniversary of the Concorde’s maiden flight, Director of City’s MSc programmes in Air Transport/Aircraft Maintenance Management, Captain Tilmann Gabriel, says the future of supersonic commercial air travel is certain, despite the termination of the aircraft's operations in 2003. On 21st January 1976, the famous Concorde made its first commercial flight. Until the termination of all operations of the aircraft in November 2003, people working at, travelling through, or living around London’s Heathrow Airport could set their watches on the Concorde’s 8 o’clock take-off roar, en route to New York. In less than three hours and with a time difference of 5 hours, the one hundred passengers on board would be in Manhattan in time for the opening of the Stock Exchange. And could still make the return trip on the same day after close of business. What a prestigious flight experience! During my time at British Airways, before the events of 9/11, I was allowed to sit in the cockpit - for every pilot a sensational event. Concorde’s Fleet Chief, Captain Mike Bannister had the most prestigious job at BA, indeed more respected than the airline’s chief executive. 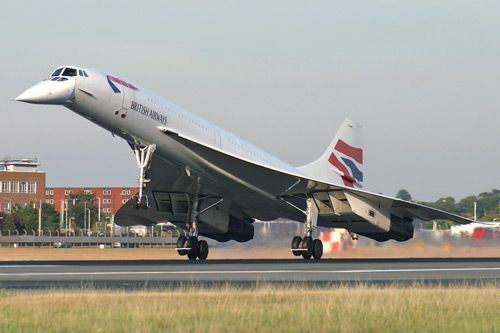 Captain Bannister is still closely connected to the Concorde and chairs the Brooklands Museum in Surrey, where most of the aircraft’s memorabilia are kept, including its flight simulator and a an intact retired Concorde. It’s probably been well visited this week on its 40th anniversary. 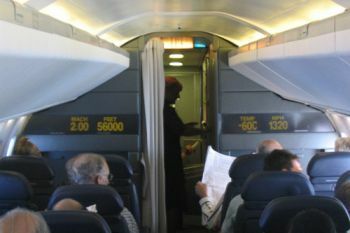 The cabin was small and narrow enough to allow for a supersonic speed of over Mach 2, which the passengers were made aware of with a large digital electronic speed display. The 2.5 hour London-New York trip included a luxurious three-course dinner or breakfast, for £5,000, which was never reduced - the trip was always sold out. Some people waited years for the once in a lifetime trip on a Concorde. But the usual customer was the banker, commuting between New York and London, and VIPs, who could travel in style. Concorde flights came to an end in November 2003, three years after the only major accident in its history, with an Air France Concorde which caught fire during take-off in Paris. Though many blame this catastrophic accident for the shut-down of supersonic commercial flight, it was really the huge and unsustainable operating losses for British Air ways and Air France, that led to the demise of the aircraft. Today, there is a supersonic business on the drawing board, which is well underway. Airbus has just filed a patent for a truly futuristic supersonic jet which will achieve Mach 4 speeds. So, did we see the end of supersonic flying in 2003? Supersonic flight is one of the four speeds of flight. They are called the regimes of flight. The regimes of flight are subsonic, transonic, supersonic and hypersonic. Vehicles that fly at supersonic speeds are flying faster than the speed of sound. The speed of sound is about 768 miles per hour (1,236 kilometers per hour) at sea level. These speeds are referred to by Mach numbers. The Mach number is the ratio of the speed of the aircraft to the speed of sound. Flight that is faster than Mach 1 is supersonic. Supersonic includes speeds up to five times faster than the speed of sound, or Mach 5. In 1947, Air Force Capt. Charles E. "Chuck" Yeager became the first person to fly an aircraft faster than the speed of sound.